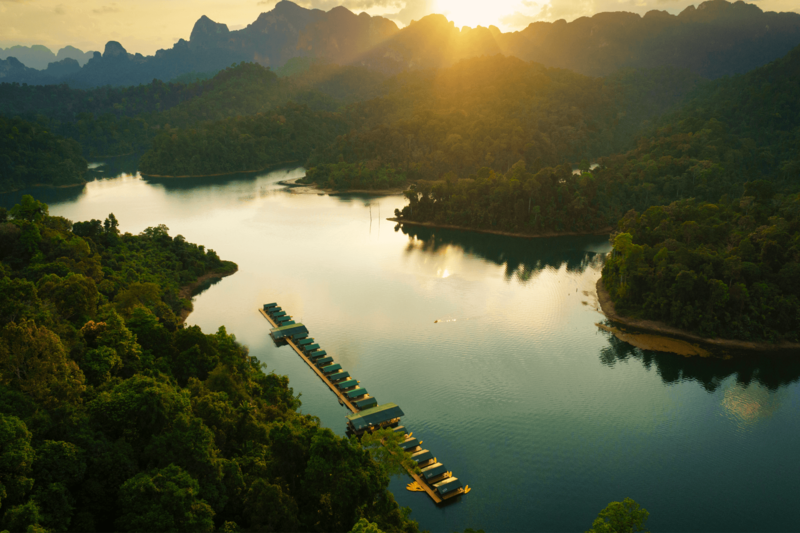 Established as a national park in 1980, Khao Sok National Park stretches for 250 square miles and is one of Asia's premier natural wonders. Ideally situated on the mainland between Phuket, Krabi, Khao Lak and Koh Samui, spending a few adventure-filled days before you relax at the beach will live long in the memory and is highly recommended. While much of the park is carpeted in verdant rainforest, it's also comprised of vast limestone mountains that dominate the view at every turn, deep valleys, tumbling waterfalls and breathtakingly beautiful lakes. 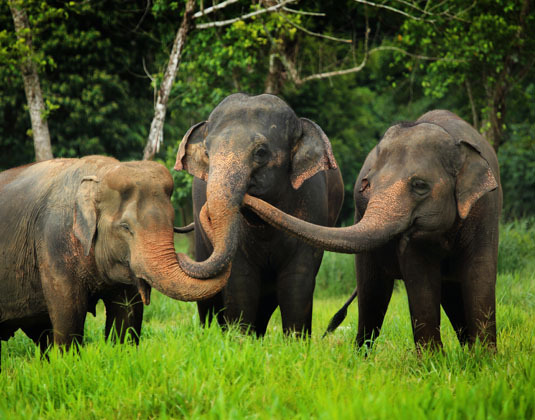 The park is filled with an incredible array of wildlife such as wild elephant, monkeys, gibbons, bears, porcupine and deer; many of which are quite elusive. Reptiles and insects are in abundance along with several species of bird, including the hornbill, and rare flora including the world's largest flower Rafelesia. 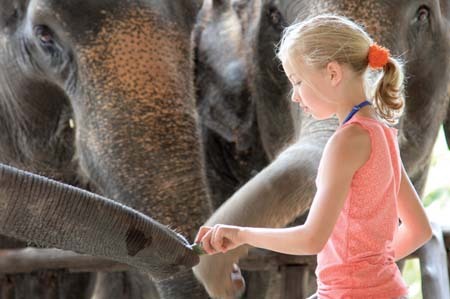 Various activities are offered within the park from scenic canoe trips along the tranquil Sok River to various trekking routes, as well as the chance to meet and interact with elephants. However, perhaps one of the greatest pleasures of any stay in Khao Sok is to wake to the morning chorus of chattering monkeys and squawking birds whilst the mist that shrouds the hills slowly disappears to reveal the stunning lush greenery of the rainforest. 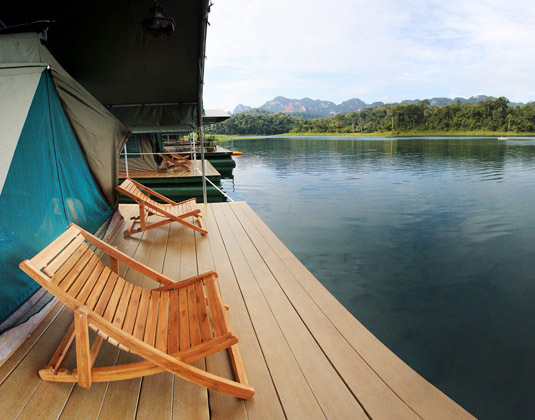 Residing in the heart of the park is captivating Cheow Larn Lake, where the majestic limestone mountains rising above the emerald water are said to resemble those of Halong Bay in Vietnam or Guilin in China. 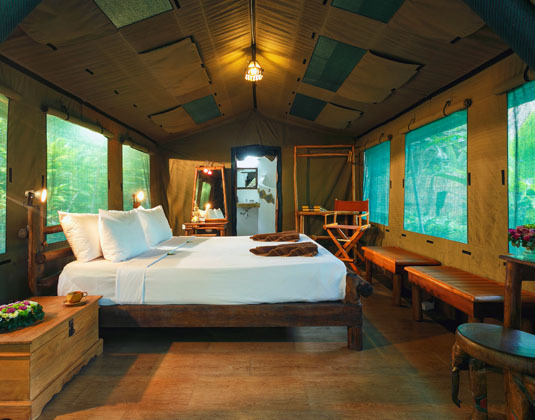 Stay in luxurious tents floating on the water's surface and enjoy the chance to swim in crystal clear waters, kayak to nearby islets where you may get to glimpse monkeys and trek amongst the rainforest. Call and speak to one of our travel experts who have experienced Elephant Hills personally. 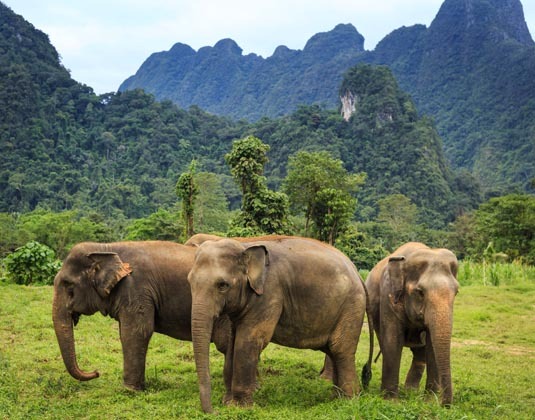 There are no direct flights from the UK to Khao Sok National Park. Fly from Bangkok to Phuket and then travel onwards by road for approximately 2 hours 30 minutes. 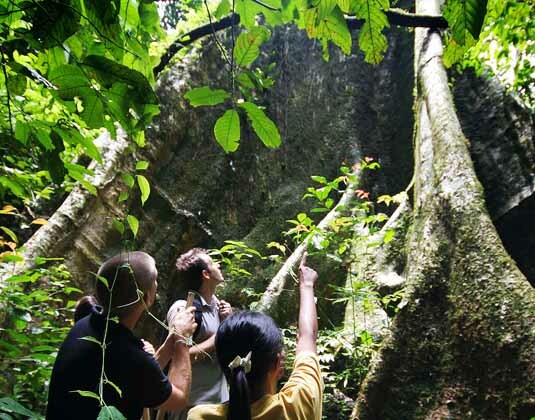 Khao Sok National Park is also accessible from Khao Lak, Krabi, Koh Samui or Surat Thani. Khao Sok has the highest level of rainfall in Thailand, which of course helps maintain the rainforest. 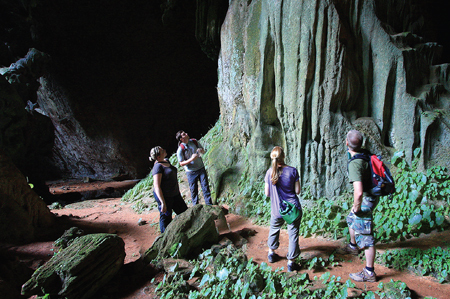 The best time to visit is during the dry season, between December and April, although some rain may still occur. The wet season is between May and November and while some trails may become slippery the majority of the activities within the park are available.